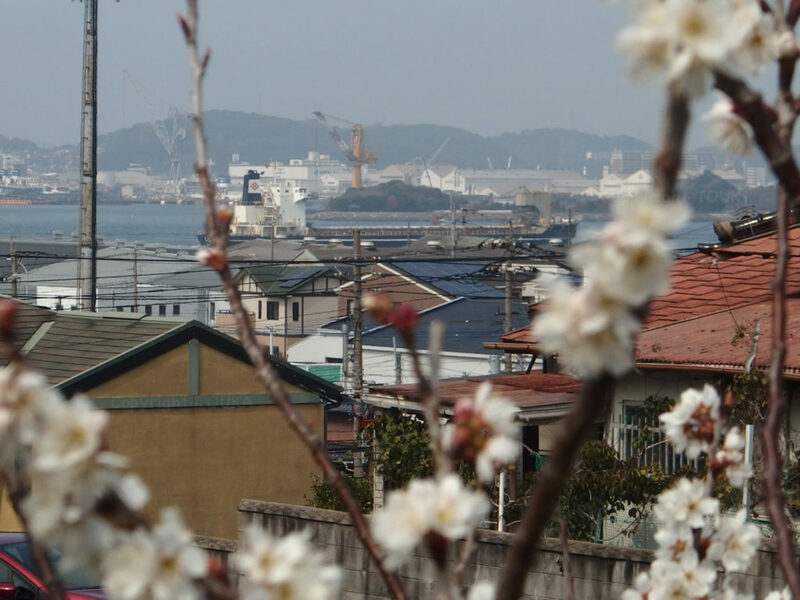 春が押し寄せてきてますよ！/ Spring is swarming in Kanmon! 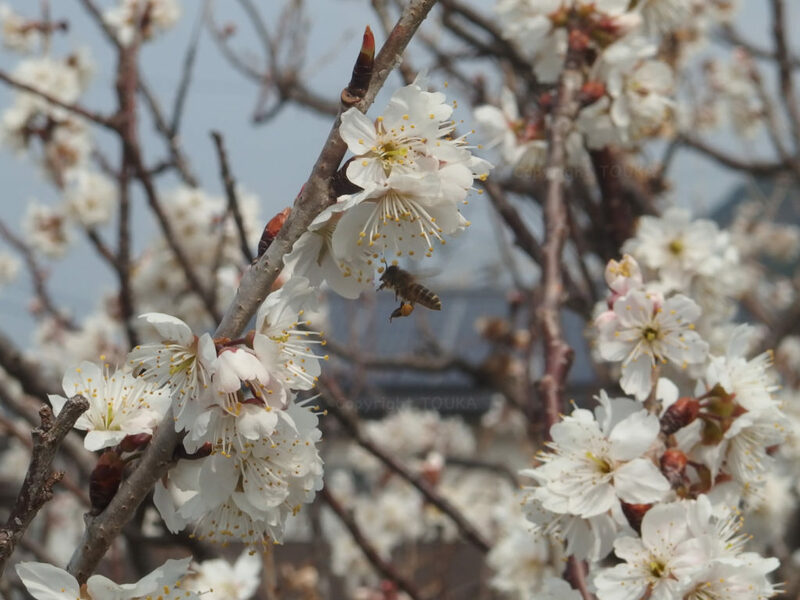 Spring is swarming in Kanmon! Recently, warm days keep coming in this Kanmon area. In our neighbor, fruit cherry tree is in full bloom and honey bees are flying around the tree. And early blooming Kawazu Sakura tree in this town started having leaves already. Because of warm spring this year, we may have Japanese most famous YOSHINO Cherry will bloom earlier than normal year. 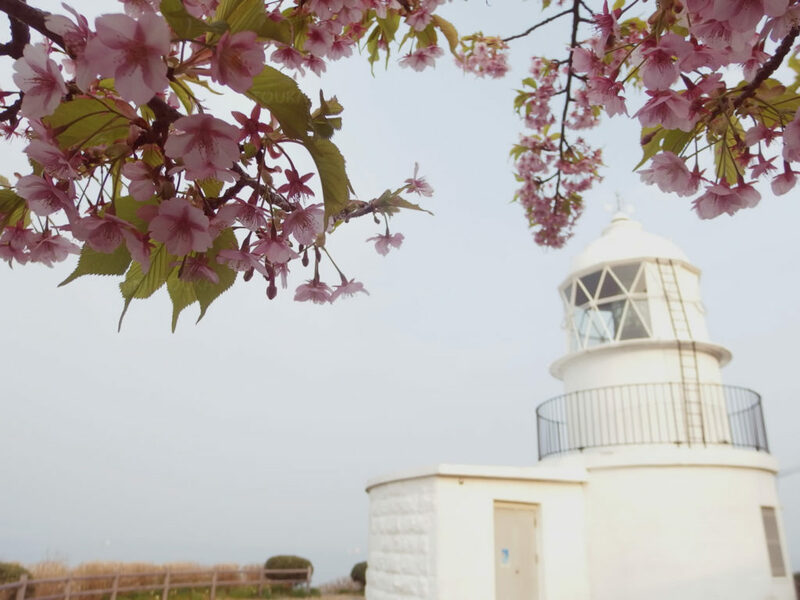 Many guests have showed us pictures of their country’s cherry blossoms spot in their smart phones. However, as Japanese, we want our guests to see JAPANESE CHERRY BLOSSOMS in Japan. Since I came back from Tokyo, I have searched various cherry spot in this town. So we will advice our guests the best spot of the timing the guests stay here. Thank you and you have a nice day at your special spot.